Visit Time: Approx. 4 hours. Expanded Education Program & Activities! Mount Harmon’s Early American History Program provides students the opportunity to learn first-hand about the lifestyle, culture, agriculture and trade of a tidewater plantation. The Program features tours of the manor house, colonial demonstrations, crafts and games, and a nature walk to the Prize House. In addition to our Early American History Program, we are now offering new curriculum-based programs in Tidewater History and Ecology. Programs can be customized to suit your curriculum and classroom needs. We are currently booking school field trip programs for the fall and spring seasons ~ please be sure to book early to ensure availability. To enable students to learn about and experience an 18th century plantation and a pristine Tidewater setting little changed by time. To instill in young people an understanding and appreciation of our nation’s rich colonial heritage, and how individuals and societies have changed over time. To teach the importance of preserving this uniquely beautiful open space, its historic buildings, pristine natural surroundings, and wildlife. 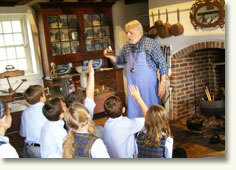 Mount Harmon’s Education Program provides students the unique opportunity to learn first hand about Tidewater History and Nature at a pristine colonial-era Plantation. 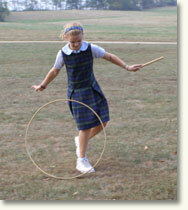 * Programs can be customized to suit curriculum and scheduling needs. Program is approx. 4 hours (includes picnic lunch break and nature walk). To schedule your school visit or for more information about Mount Harmon’s Educational Program call 410-275-8819, or via e-mail at info@mountharmon.org.